You are currently browsing the tag archive for the ‘Michael Maltese’ tag. In their search for new characters the Lantz Studio introduced yet another character after launching Maw and Paw in 1953. 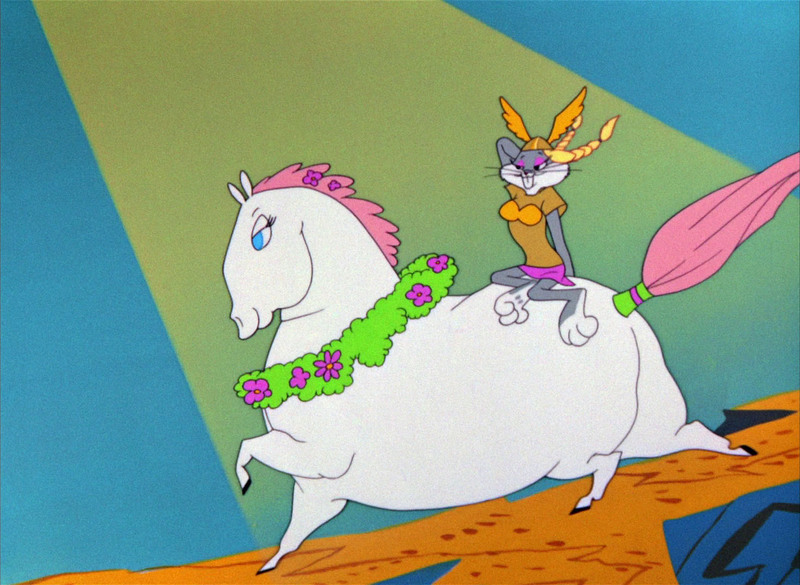 Their new star, Sugarfoot the horse, was even less successful than the barnyard couple. 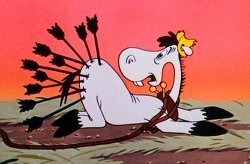 In his debut cartoon Sugarfoot is expelled from his farm for wrecking his replacement, a tractor. He soon finds a job at the movies as a double for a star horse, earning enough money for his boss to buy a new tractor. Sugarfoot was an interesting character for the 1950s, because he did not speak. Nevertheless, he was so remarkably unfunny, he lasted only two cartoons, the other one being ‘Hay Rube’ from the same year. It remains an almost unbelievable fact that this terribly unfunny cartoon was penned by the great Michael Maltese. ‘Rabbit Romeo’ opens with Elmer Fudd receiveing an enormous package from his uncle Judd Fudd containing a ‘Slobavian rabbit’. The Slobavian rabbit turns out to be a giant female rabbit called Millicent. Elmer will get $500 if he will guard the rabbit until his uncle arrives. 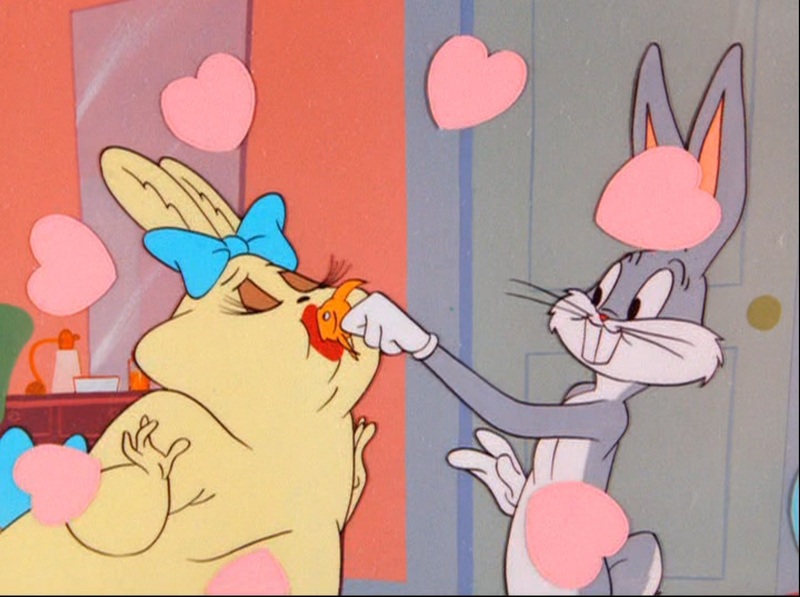 Unfortunately Millicent gets lonely, and expresses that by wrecking things, so Elmer seeks a companion, which of course has to be Bugs Bunny. 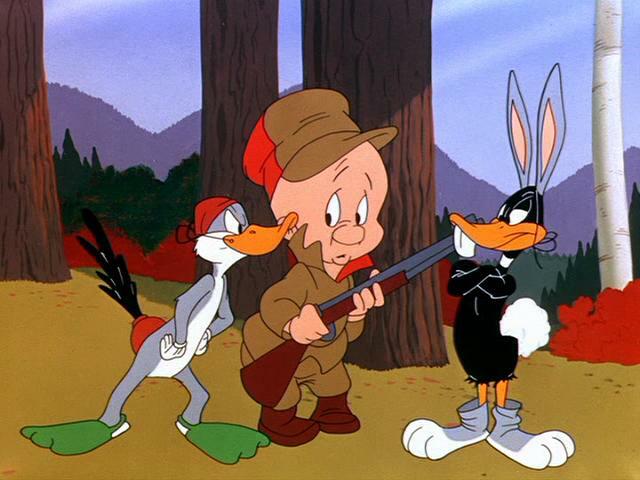 In the end of the cartoon Bugs gets rid of the all too loving Millicent by putting Elmer into a rabbit suit. 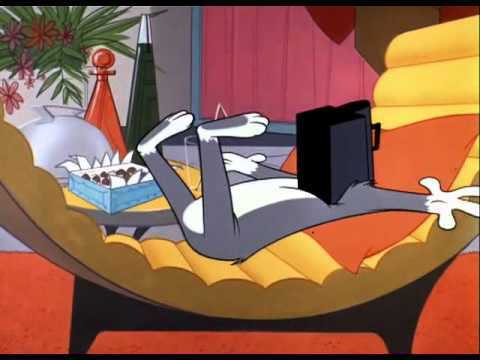 ‘Rabbit Romeo’ is a rare combination of storyman Michael Maltese and director Robert McKimson. 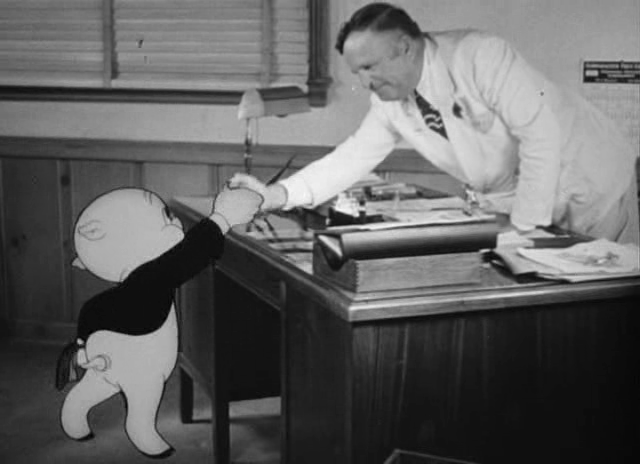 Maltese’s peppy story makes it one of McKimson’s better latter day shorts. The designs on Bugs and Elmer may be flat and uninspired, the animation on Millicent is great. 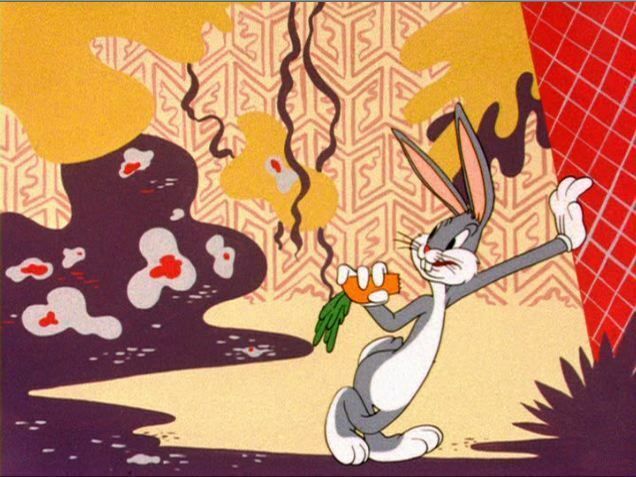 Moreover, McKimson’s timing is excellent, and he excels in some facial expressions on Bugs Bunny, which belong to the best in any Bugs Bunny short. 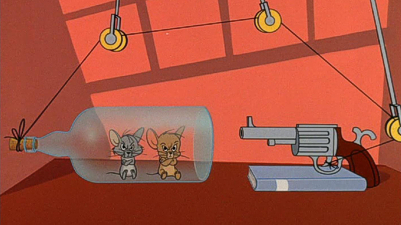 Director Chuck Jones and writer Michael Maltese reuse their story idea from their classic Warner Brothers cartoon ‘Mouse Wreckers‘ (1949), with Jerry and an anonymous mouse replacing Hubie and Bertie, and Tom replacing Claude Cat. Like in the former cartoon, the two mice try to convince the unhappy cat he’s insane. The gags are different, though, as is the ending, for unlike Claude Cat, Tom gets his torturers and punishes them in the end. Although ‘Mouse Wreckers‘ is much to be preferred above ‘The Year of the Mouse’, the inspired story works once again, and results in one of the better Tom & Jerry cartoons by Chuck Jones’s unit.